LONDON -- Toyota will expand its push into new mobility businesses such as ride-sharing by opening a new office in London tasked with finding technology-driven products and services tailored to the European market. The automaker will recruit 35 to 50 data scientists, engineers and software developers for the office which will be part of Toyota Connected (TC), which looks for commercial opportunities that exploit digital technology and customer data. 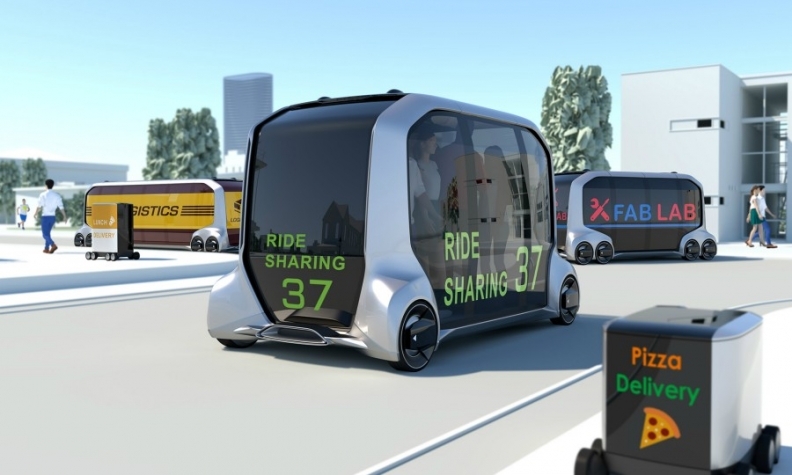 The venture will partner with Toyota's retailers and distributors to support the launch of new shared mobility services for consumers, businesses, governments and other stakeholders, Toyota said. It will leverage and extend Toyota's cloud-based digital ecosystem that provides the tools necessary to bring to market mobility services including ride sharing, car sharing and remote delivery, as well as manage the European operations of the Toyota Big Data Center, the automaker said in a statement. Toyota will invest 4.5 million pounds ($6 million) in the venture. The office will open in July at an undisclosed location and will be headed by Toyota Motor Europe's vice president for connected car and mobility, Agustin Martin. The office was "the next step" in the Toyota's continued growth as a mobility company, Martin said in the statement. "The adoption of new approaches to mobility is moving very fast in Europe," he said. Automakers have accelerated their research into new forms of transport that will take advantage of cloud-based services and advances in autonomous driving. Volkswagen Group is piloting a project that would allow drivers starting early next decade to book a parking space at Hamburg Airport from home using an app, then leave their car at the airport parking lot entrance so it can park itself. Ford has used London to test mobility innovations, for example its GoDrive car-share scheme that ended in 2016. Ford this year recently rolled its Ford Chariot minibus service in London. Chariot runs on fixed routes and passengers hail the Transit buses using smartphones. Toyota has recently accelerated its mobility and connected car innovation development. At the Consumer Electronics Show (CES) in Las Vegas in January, it showed an autonomous driving vehicle called e-Palette. The vehicle is at the heart of an alliance between companies including Amazon, Didi, Mazda, Pizza Hut and Uber that explores future delivery, taxi and car-share opportunities.